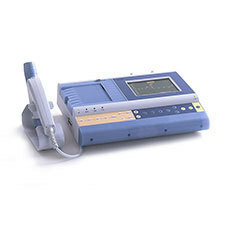 BTL-08 Spiro Pro is a modern compact spirometer for performing pulmonary function tests and managing patient records. 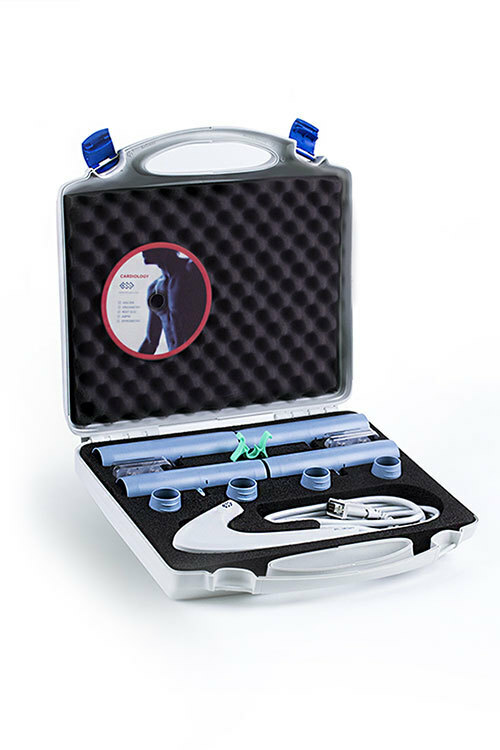 Minimal operational costs are ensured by use of reusable sensors and mouthpieces. 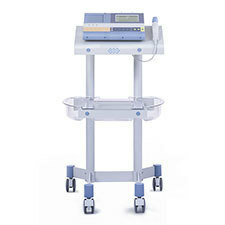 Results can be viewed on a large colour display and printed on a thermal or office paper or exported to the PC afterwards. 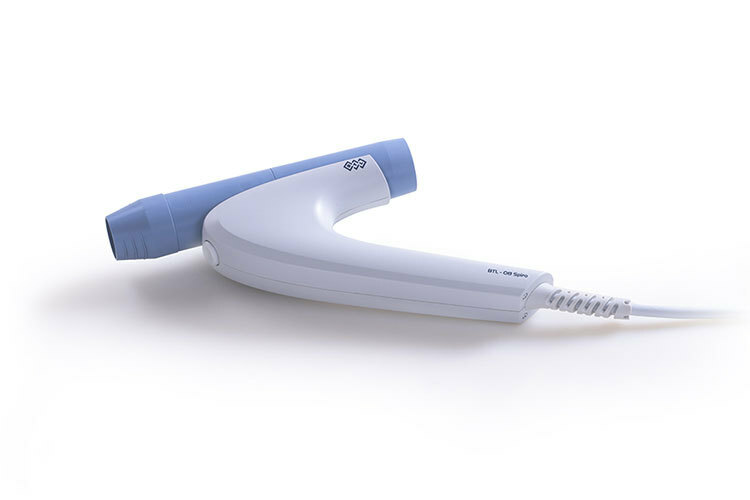 Reducing running costs in spirometry means reducing the number of disposable items. BTL’s peumotachograph uses reusable sensors and mouthpieces. Instead of printing on expensive thermal paper, it can print on common A4 office paper when compatible printer is connected. 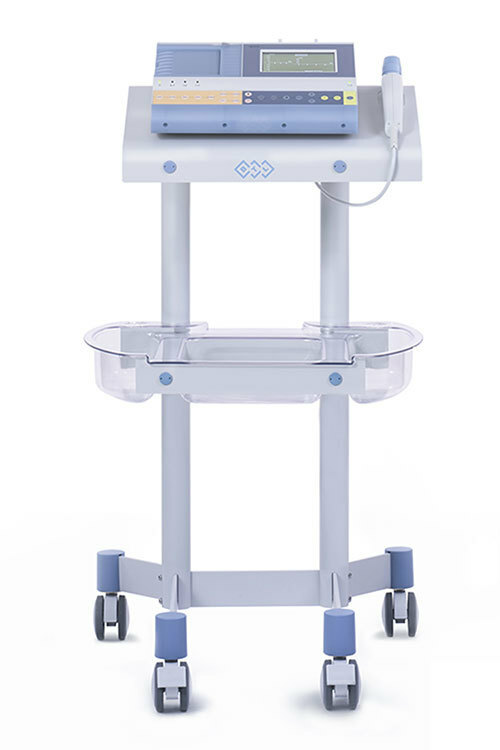 BTL spirometer is well prepared for use with paediatric patients. It features modern 3D encouragement animations, paediatric predictions and calculates parameters such as AEX that are useful particularly when assessing children. 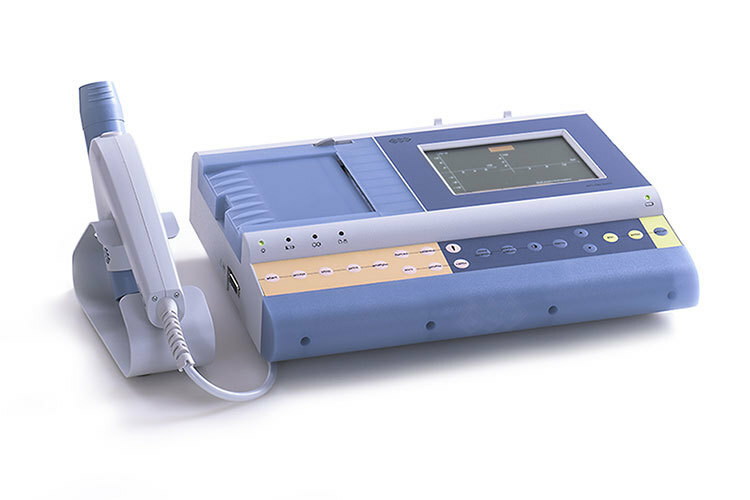 BTL spirometer was designed with respect to ATS/ERS 2005 standard. It performs FVC, SVC and MVV tests, allows choosing desired predictive norm and also provides automatic interpretation from ATS, BTS, Enright and GOLD. 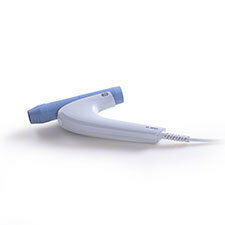 Recorded spirometry curves and parameters can always be compared with those from previous examinations.